Reminding us to be satisfied with moderation, my mother used to say, "A little dab will do ya." With this in mind, I want to reassure you that it is not necessary to spend hundreds of dollars on an elaborate phonics course. There is an alternative that is amazingly simple and direct - it's called "sounding out." Instead of using dancing cartoon figures or sing-songy ditties (meant to amuse, but which often distract), a child simply looks at the letter or word and repeats after you. When a child has learned to recognize each letter of the alphabet by its sound, you can introduce the blending of letter sounds. Frequent practice plus some review will be needed, but this gradual work can be accomplished in 10 minutes a day with Alpha-Phonics. This program is the little dab of phonics I gave my children each day for their "at, mat, cat, hat, sat" sort of practices. And it was plenty. The large child-sized, handwritten letters are ready by the student straight out of the book. Short words are read in columns. (No need to read all the columns on the page in one sitting.) Whole sentences are introduced using words previously practiced. An inexpensive non-consumable course, complete with teacher's manual and lesson plans. Any Child Can Write is a handbook for the whys and hows of writing. The goal is to first set up an atmosphere that encourages creative written expression. Yes, you can foster a favorable attitude toward writing in your home. Simple examples show you how to help a child draw upon ordinary experiences and put them down on paper. Younger students can start by writing a caption below a crayon drawing. Grocery lists, thank-you notes, and letters to grandparents are then recommended. For the student a little older the use of sensory language is promoted so he may describe his experiences of being there by what he hears, smells, sees, and touches. Guidelines for correct writing are briefly highlighted. Any Child Can Write is not curriculum yet I found it contains the same sensible philosophy and method behind the lessons in the curriculum The Write Stuff Adventure, by Dean Rea, making them ideal companions. I recommend using the handbook and the curriculum together in your homeschool. 28 sheets to trace and copy, 27 page teacher's guide. My copy of English from the Roots Up is ten years old. I remember being much encouraged by its introduction. It assured me that even if I had never learned Greek or Latin myself I could still teach this course. When I thumbed through the pages that followed and saw how simple, and with what large print the Greek and Latin root-words were laid out, I said, I can do this? (The author was right.) Each page presents one root-word framed in color  green for Greek and red for Roman. The first page presents PHOTO, for example. Its definition is light. Photograph, telephoto, photosynthesis, etc are just a few of the words that are listed and explained below it. The one hundred root-words take Latin and Greek out of the foreign language department and install them into the English department where they will do some good. What a simple method of providing a child with an excellent foundation on which to understand and build upon the meanings of English words! I recommend the set of cards. With them review is snappy. At the end of the first grade, my child was still struggling with those typical large ball-and-stick letters. At this wearisome pace, how would she ever manage the transition to the very slanted curly loops of cursive penmanship that most curriculum designers put on the list of second grade accomplishments? (I worried a lot during those early years of homeschooling.) But I looked for an alternative program and by springtime happily settled upon the Italic Handwriting Series. Every morning after breakfast, while I washed the dishes, my daughter sat still for one short lesson of italic handwriting practice. Then she was set free to play in the back garden. All summer she did a little practice before play. By September she could copy a line of poetry with ease. The new school year was starting off on a good note! As she progressed through the books, the transition from basic italic to cursive italic was a simple and natural one.Subsequently, my other students used this course. I've noticed that over the years each student has added a few loops and swirls of conventional cursive as it has appealed to him. (Each borrowed ideas from the handwritten letters of a pen-friend.) Therefore, a student can become quite proficient in basic handwriting with this series and, if desired, develop his own style from it as well.Book A (kindergarten) covers basic italic lowercase and capital letters, one letter to a page, with space for writing and drawing activities. Book B (first grade) expands on that base to include short sentences and words with short vowels. Book C (second grade) reviews earlier lessons and focuses writing practice on themes of modes of transportation, days of the week, and months of the year. Preparation for cursive begins. Book D (third grade) studies vowels and consonants, prefixes and suffixes, capitalization, and homophones through haiku, limericks, and tongue twisters. Book E (fourth grade) reviews previous material and practices sentences and paragraphs using the themes of nature, our world, the solar system, and cities of the world. Book F (fifth grade) explores synonyms and antonyms, word origins, abbreviations, acronyms, similes, metaphors, palindromes, Tom Swifties, and more. Book G (sixth to eighth grades) develops the finer points of basic and cursive italic in a self-instructional method. The Instructional Manual (for use with Books A-F) offers notes on teaching objectives and assessment techniques, addresses special concerns (like left- or right-handedness), and examines the historical development of the alphabet. One summer I caught my daughter, Yolanda at the computer typing away. She and one of her friends were writing a story together for fun. They had a common bond - horses. Of course there was a horse or two (or three) in the story. Therefore when I found Learn to Write the Novel Way in CBDs catalog I ordered it and it became one of her high school English courses which earned her one full credit. Some students, however, dont take to fiction writing so readily. Many find it daunting. It is definite work. But there is a you can do it feel within the simple-to-follow format of this course. Author Carole Thaxton, a Christian homeschool mother, befriends the student with her light humor and encouragement while she leads him through the steps of writing a good story. First a student writes freely, developing characters, describing settings and organizing a plot in rough draft form, Afterwards he replaces general words with more specific, vivid vocabulary and corrects his sentence structure (grammar skills included). Finish with a chapter on lay-out and cover design. The end result? - a students own spiral-bound published novel. For grades 5 12. 218 pgs. "Do you remember these?" I asked Nigel (today). I was holding open a copy of Ready Writer and reminiscing. Nigel, our youngest, is in his teens now but it doesn't seem so very long ago that he was learning how to gain control of a pencil. He didn't do as much sitting and coloring as his sisters did. Coloring a picture with crayons is supposed to be an enjoyable activity that helps preschoolers prepare for their penmanship lessons later on. "Staying in the lines," is the goal. "Staying in a seat," is the goal with some four-year-old boys, however. Ready Writer is especially helpful for boys who haven't done very much coloring. It isn't a coloring book but it does supply the important step of developing fine motor control that should come before tracing letters on a page. ReadyWriter is charming. First, the child is read aloud a "short and sweet" story that introduces the picture-activity page. Then he uses his pencil to do the activity. Some samples are: trace the pathway of a hopping frog, lace up the high boots, trace the spiral on each lollypop, sharpen the zig-zag edges of a saw, fill in the missing boards of a barn, darken in the eyes of a flock of sheep, draw rings on the cut logs of a stack of wood, provide the missing straight lines of a rabbit cage and a water tower, and follow the stream that winds around the farm. Rings, spirals, zig-zags, straight lines, and curves are similar motions that will be required of letters and numerals. By advancing through the 16 levels of these clever activities, my son Nigel, built competence. The following year his penmanship attempts took effort but they were not a struggle. I recommend short lessons for young children even if some of these pages are left incomplete. Be encouraged. Five to eight minutes of attentive work daily, accomplishes more than you might expect. Children naturally get faster as skill increases. Their powers of attention (and ability to sit still) develop over time, too. For girls and boys age 4 to 8. Nigel used ReadyWriter in Kindergarten (age 5 1/2). ReadyWriter would also be a BIG help to students age 6-8 who struggle with the dexterous requirements of penmanship. If your child needs help memorizing the order of the books of the Bible SanctiFinder's quick drills make searching for a Bible verse fumble-free. Grade 3 and up. When I first started homeschooling I was surprised at how much practice my children needed to memorize math facts and how many months and years it took. One resource I used was CalcuLadder. It helped us be consistent in math drill. Don't give up. Children are encouraged when they become aware of their progress. Grades 1-8. AlphaBetter helps your child become a whiz at looking things up alphabetically. Grade 3 and up. Even though I revised the book, I kept to Charlotte's format of teaching one grammar rule per lesson. The lessons can easily be kept short when no more than 10 to 15 minutes are spent on accompanying exercises. Because my children like pictures, I incorporated many large 19th-century ones into the exercises. They give the student ideas with which to create his own sentences that employ his new knowledge of grammar. The book's large print makes it comfortable for students and teacher to read along together. Much of the work can be done orally. Any of the work can also be used for written assignments. With Simply Grammar, you are at liberty to follow a pace that suits your circumstances and your child's ability. No diagramming is required. It is a several-year program that can be used during the fourth through eighth grades. One of my children has had difficulty spelling. Whatever spelling book I used was a disaster. I was particularly concerned when she reached age thirteen and still couldnt spell well even though she loved reading and had a wide vocabulary. I turned my attention to giving her much more writing. A customized spelling list was then created from the words she misspelled in her rough drafts. If she misspelled figure, I also gave her pasture and nature,- words belonging in the same word families. When I found Spelling Power I discovered I had been on the right track. Yet Spelling Power goes much further along the track in helping you customize spelling for your child. While reading the teachers study guide chapters you may even think to yourself, It goes too far. But be encouraged. Once youve gone through Beverlys detailed guide with a highlighter pen you will be on your way to providing an excellent spelling course for all your children. Spelling Power is a multi-level, nonconsumable course for ages 8 to adult. It can be used with all your students at the same time, year by year. A placement test determines a students level. Five thousand of the most frequently used words are taught by phonetic principles and spelling rules. Does this sound overwhelming? It isnt when you take it a little at a time. And that is also what I like about this course. The daily lessons can be as short as fifteen minutes per child once you get in the swing of it. Each student progresses at his own pace. My book has three paper clips in it which mark the place each of my children has reached along the word list. Reproducible study sheets carry a student through Beverlys 7 steps of studying a word. Within the steps a student is required to visualize a word in his mind and with his eyes closed, spell it out loud. For those who like games and multi-sensory activities, there are over 100 of them at the back of the book. Beverly also explains how to conduct a dictation session and provides activities for learning dictionary and proofreading skills. Even though I am recommending this comprehensive course I do believe we should expect less of spelling in the early elementary years. Spelling is perfectly content to take a humble position in your full curriculum. Remember that spelling is a servant to higher things. Keeping the love of language alive is most important. If you think studying logic is going to be laborious and boring, then you havent seen this refreshingly clever volume by written by homeschool graduates Nathaniel and Hans Bluedorn. Students are guided through thirty-eight short lessons designed to help them pay attention to details, listen carefully, and recognize faulty logic and deception wherever they encounter it. Best of all, you and your students will occasionally find yourselves laughing out loud while doing the exercises. Many of the examples are taken right out of the headlines of the liberal media, so the book is timely as well as practical. This is a wonderful teaching tool for students 13 and older in pursuit of Christian wisdom. A good amount of phonic review is necessary when it comes to learning to read. Children are periodically introduced to new phonetic combinations but must also review the old. The job of the teacher is to make something as repetitive as review, interesting. I would have found, The Super Book of Phonic Poems such a help when I taught my young ones - especially the second half of the book with its consonant blends and variant vowels. All 88 poems are illustrated, have an average of three rhyming verses and are cleverly brimming with words that feature the particular phonic review of the day. These are not worksheets. Just pick a poem that features the phonics you wish to review and read it together. 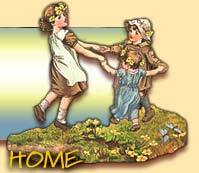 I like straightforward materials that reflect the joys of childhood, are interesting and uncomplicated. That's why I like this super book. 96 pages / Grades 1-4. 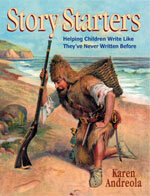 With over 50 years' writing experience, Dean Rea knows how to take the homeschool student on a writing adventure. He combines his experience, both as university professor and award-winning editor of a major newspaper, with the gentleness and grace of a wise, trusted friend. Each lesson is addressed to the student, and Mr. Rea's warm regard for and confidence in the student shine through. A teacher of writing ought to be a writing teacher, and WRITE! Don't stifle your students. Leave the mechanics of spelling and grammar for fine-tuning later; in the early lessons, simply enjoy the process. Publish, publish, publish - on the refrigerator, in a letter, in the paper, anywhere and everywhere! Students write letters to Grandmother, and then go on to an autobiography and news articles. They put out a family newsletter with interviews and are introduced to cartooning. They start with the basics of organizing and describing, and end with the basics of journalism. The students' own photographs are used for creative writing. They learn how to write copy for want ads, cover letters, and letters to the editor. They learn how to write a good essay. They enjoy the rewards of work done well and of sharing their work with their friends, family, and community. A happy student is one who is learning to do things that matter. That is the key to The Write Stuff Adventure. It is a course I recommend for the middle grades and high school - though younger students could easily take advantage of the beginning exercises. Once begun, the student will enjoy the adventure to its completion, and will become adept at the tools of writing in the process! (I also appreciate the price. It is a truly superior course offered at about half the price of some lesser-quality courses.) So, let the adventure begin! To take the edge off of the seriousness of studying Greek and Latin roots within our English vocabulary weve given Words on the Vine a try. The lessons are funny. Most exercises require a dictionary, creative thinking and sensible answers. Some require research. Admittedly, though, some are just plain silly. Theyve put a smile on my sons face and mine. For the sake of interest many pages are illustrated and differ in design. Ive assigned a choice of two out of three activity pages per lesson and review previous roots once a week.